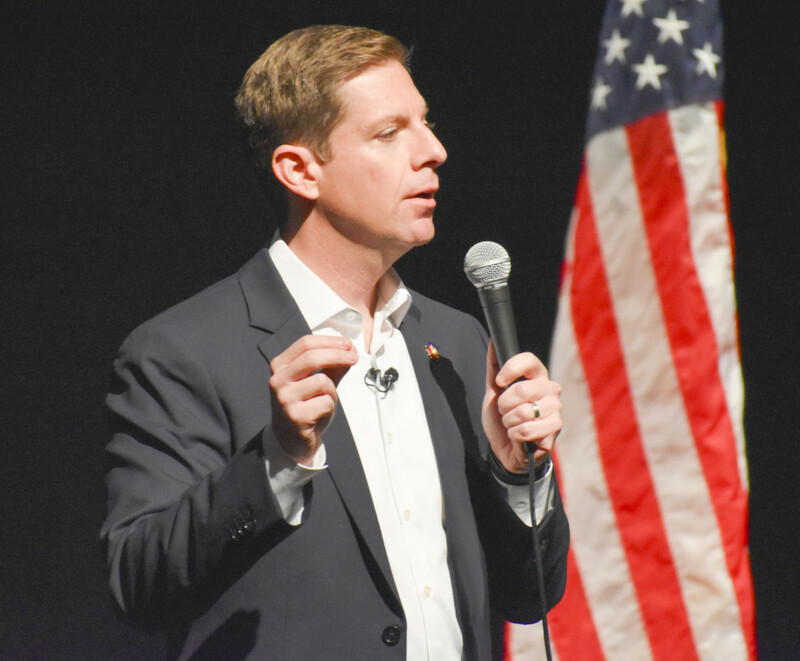 OCEANSIDE — Rep. Mike Levin (D-San Juan Capistrano) hosted the first of what he said would be monthly town hall meetings on Jan. 26 in the Oceanside High School Performing Arts Center. Levin, who was elected to represent California’s 49th Congressional District in the fall, started his time in office in the midst of a 35-day partial government shutdown. The longest shutdown in U.S. history ended the evening before Levin’s town hall when President Donald Trump signed a bill to fund the government until Feb. 15. Levin said he was happy that the president reopened the government, and emphasized the need to keep it that way. Trump is demanding new legislation that would fund his border wall, and if an agreement between the president and Congress isn’t reached by the mid-February deadline, another shutdown could occur. “We need to make sure that we do not have a precedent where every time we have a partisan agreement we shut down the government, because it will happen again and again and again,” Levin told a nearly full auditorium of constituents. The congressman said there was opportunity for Congress members to work across the aisle to better secure the border, noting implementing new technology at ports of entry as a place to start. “Ninety percent of drugs coming into the country are coming through ports of entry,” he said, explaining that new technology would help to capture those drugs before they make it any further than the ports. Levin said he voted 11 times to reopen the government. The congressman also went over bills he has supported since officially taking office, such as the For the People Act (H.R. 1). Levin described H.R. 1 as a “comprehensive bill to end the culture of corruption” and the influence of “dark money” and foreign interests in Washington. He also said the bill would restore and protect voting rights. According to the Brennan Center for Justice, the bill would “create a more responsive and representative government” by making it harder for gerrymandering to occur, by making it easier for voters to cast a ballot, by changing how campaigns are funded and by bolstering election security and government ethics. Other legislation Levin said he supports includes H.R. 8, which establishes tighter regulation to prevent gun violence; another bill that would raise the minimum wage to $15 per hour; two bills that he said would protect the coastline from offshore drilling and another bill to help better fund California’s wildfire disaster relief. He also said he supports the Equality Act, which would add sexual orientation and gender identity to the Civil Rights Act of 1964 and outlaw discrimination against LGBTQ+ citizens in work and services, and a “Medicare-for-all” bill as well. 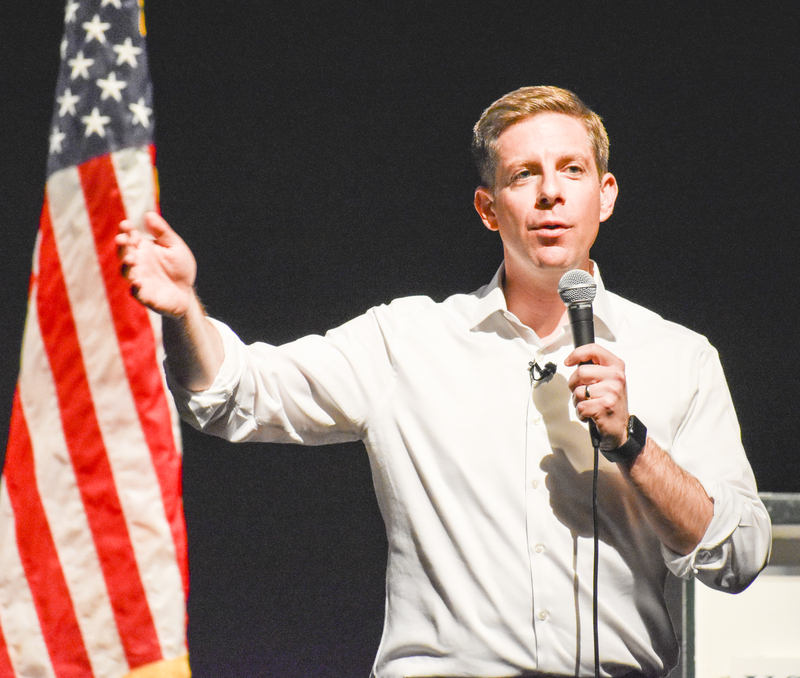 Rep. Mike Levin said will hold a town hall meeting once a month in the 49th District. Levin also told the audience he recently joined the House Committees on Veterans’ Affairs and Natural Resources, and hopes to be put on the new select “climate crisis” committee. The congressman, who has been involved in environmental and energy issues for quite some time, said he supports the creation of a “Green New Deal,” a proposed economic stimulus plan that would work to address economic inequality and climate change. “I hope we are able to accelerate the transition to sustainable energy so that we rightfully address the concerns that were raised in the fourth climate assessment, giving us only 12 years to reduce our greenhouse gas footprint,” Levin said. In November, the government released Volume II of the Fourth National Climate Assessment, which confirmed that “evidence of human-caused climate change is overwhelming” and that climate change is already hurting Americans. The world has just 12 years to dramatically reduce its greenhouse gas emissions to avoid irreversible changes, according to the report. Levin said the 49th District and much of Southern California is “leading the way” through the transition to sustainable energy. “We need some of that California innovative thinking in Washington,” he said. The congressman took several questions from the public during the town hall, going over his allotted time to include a few more people at the end. One question asked if he would put forth and support legislation to “reignite the flame” of the Green New Deal. Levin said he has and will continue to do so. Karen Abrams, a founding member of the North County Justice Allies, asked what San Diego representatives are doing to address the “humanitarian crisis” at the border. Levin took a moment to explain what he understands the crisis to be. Levin said he would continue the process toward comprehensive immigration reform, finding a permanent solution for Dreamers and a more secure and humane border. According to Levin, House Democrats are planning to propose a “multi-billion-dollar” security bill that would send half a billion in humanitarian aid to countries like El Salvador, Guatemala and Honduras, from where the bulk of refugees are coming, and the other half billion to hire “judges and others” to speed up the asylum-seeking process. Another question dealt with rising minimum wage costs being countered by increased cost of living. Levin responded by saying he believes in a living wage, which means different things for different parts of the country, and that an increased minimum wage won’t solve everything alone. According to Levin, the country needs a strong middle class and labor movement to protect collective bargaining rights, working conditions, equal rights and equal pay. 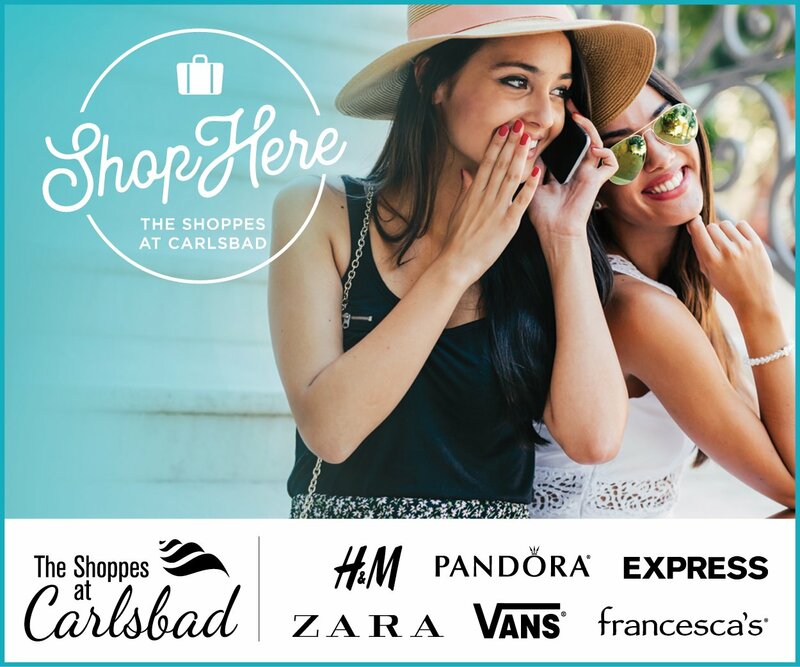 He also said he has talked with Rep. Scott Peters (D-San Diego) about reworking the U.S. Department of Housing and Urban Development’s formula to help San Diego County get more federal money to help address homelessness. Levin said he would have a town hall meeting once every month in the 49th District. I attended the townhall meeting. I found it very self serving on the part of the Congressman. He took many questions but I heard only one that was not a slow softball over the plate. He yelled at us once about public financing for elections knocking down the straw man Trump as proof. He conveniently forgot we had public financing for Presidential elections until Obama decided he was too good for that. What a refreshing change from our prior congressman who refused to hold town hall meetings, or even worse not show up when thousands of his constituents did. Thank you Mike Levin for restoring our faith in representative democracy and we support your agenda 100%.